I am so all ready and the list keeps getting longer each day. 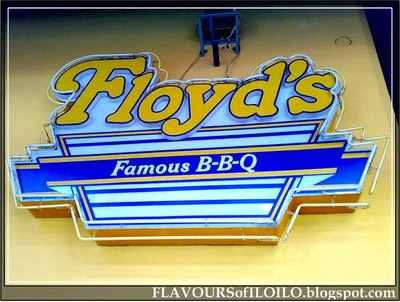 This are some of my list of places to eat and also for take out. 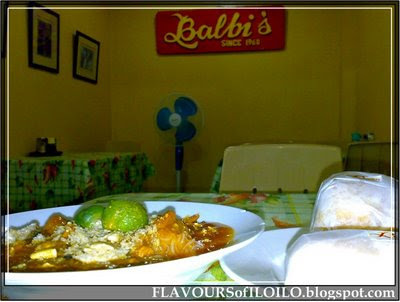 For those who knows me knows why Balbi's is on top of my list. Most of this places I already been and some still have to try. 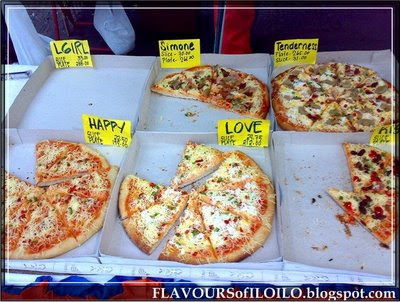 Thank's to Jorp of Flavours of Iloilo for all the pictures. Leave me comments if I left out some resto that I should visit. 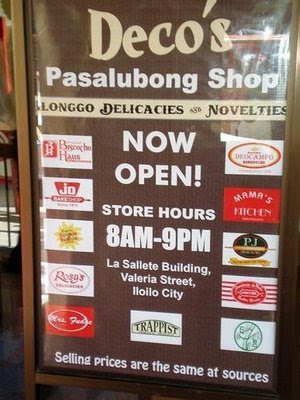 AFRIQUES - mas nami sa ila branch near plaza libertad. LOVE AND KISSES - they have a nice and modern branch sa side sang san ag.nag saylo na gale sila. 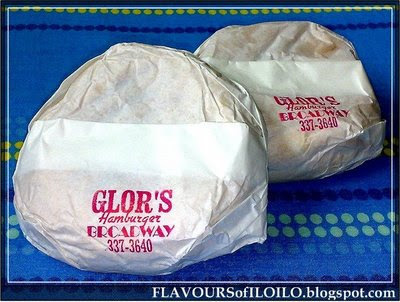 GLORS - no more ambiance left lol just check it out for nostalgia and to taste what you love. 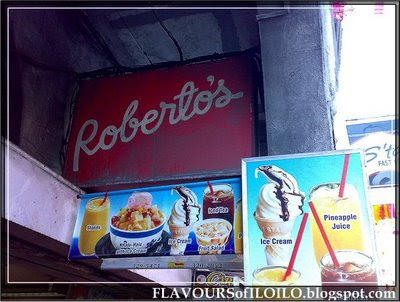 ROBERTO'S - ari pa gid wala na gawa ambiance pero it is worth checking it out as usual.im sure matimingan mo gid ang REYNA nila. 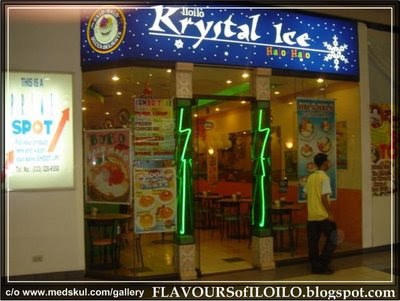 both of the restos have branches at the atirum so after eatign at floyds have dessert sa krystal ice. havent been to their branch near/ san agustin but i think that oen has the bext ambiance among their branches. 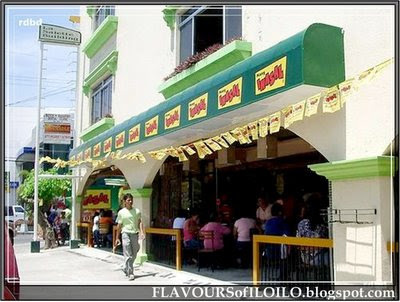 also do chekc out other inasal houses in the city. i tink may ara na sila temporary permanent place sa jaro plaza. so no need to to all the way to balasan. if you want they have a branch sa comm civil pero bisocho haus also sells them bala mo. 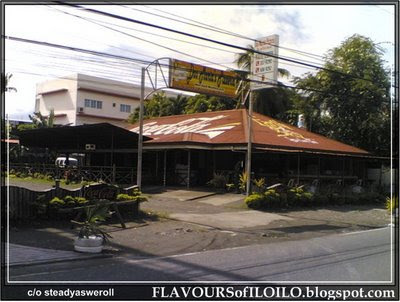 ari pa add sa list: ANHAWAN, hapit anay sa ALLAN's Talabahan for talaba, baked or linapwahan..then don't forget Krua Thai. 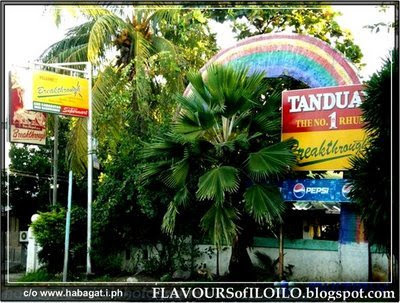 i like Balbi's Dinuguan, but i miss the fat and the kasudlan of regular dinuguan..flavor-wise, it's great, but it could use some SINFULNESS!! Jorp thanks for all ur input. Sa kalawig ni nga list so I need to print this page para I wont miss out hehehe grabe nga kaladtuan. 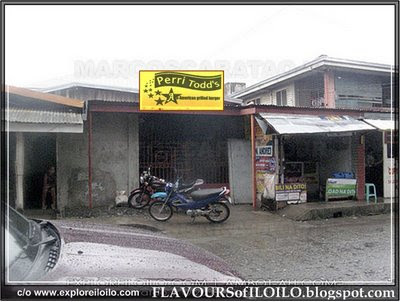 May dala bi kami nga never been to Iloilo so mahimo gid ako nga tour guide hehehe I guess kada tripping ma eat out dapat sugudan sa pamahaw, snack, lunch, snack na naman then dinner.. matinambok gid ko ni. Nat welcome back.. kita ko sa mga pictures mo nami na gid man Anhawan pero kamahal sang mga rooms nla. maayo nalang lapit lang ta we dont need to stay overnight. Ang Alan's namian ko da kapin pa ila pantat. pag feel ko gani pa Alan's kinanlan ato na kami 10 am palang para ndi mawad an lamesa. so someone who's never been to iloilo will be there with you. then obviously breakthrough and tatoy's gid ina. 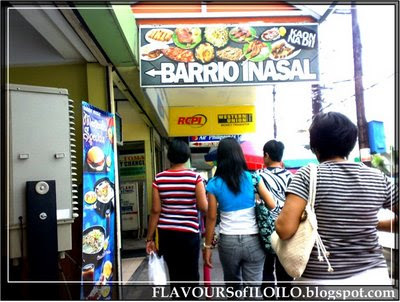 syempre batchoy and other native foods like baye baye, fresh lumpia and goodies. pero smallville would be a nice place too to have him/her feel the life of the city esp at night. Jorp di bala sa Preppy Thai kamo nagkadto day Lee & Nat? 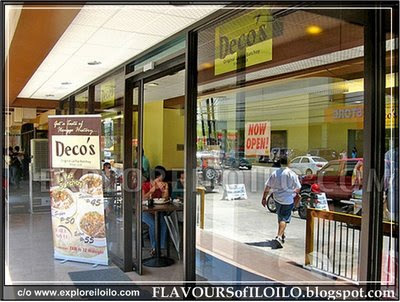 I guess we have to eat there too para mas memorable hehehe I want to have that colored drink too lol. Breakthough and Tatoys indi gid na madula sa listahan. also summer house kay fav na sang family ko. Grabe nga lista galaba nga galaba. Mag amo ni indi nako makakaon sa house. I will print this comment section and choose when I get there. sa KRUA THAI kami nagkaon. so it owuld then be a must didto para may common denominator kamo nga tatlo hehehe though both peppy and krua thais are good restos to be in. Cil, basi ga perform pa Technocrats sa Marina--sadya disco with Oldies music..check abi...si Jun Palencia gyapon, that is, if he's not here in Cali at that time..
Jorp sounds good Krua Thai after the party. Also mark ur calendar, Breakthrough lunch with Bob & Carol May 1st. dapat mag "lumbayag" sa dicohan kay todo ang KA-ON!! maski-paps lang, Cil...these days you don't have to be graceful on the dancefloor. just march to the music. Jorp--hehe--ang Technocrats, amo ang amon boy-band sang una nga tiempo--sila sang Jazzmasters, with Frankie Locsin nga mayor sang una sang Janiuay...boy, i'm old..